you can go ski & snowboard resort with shuttle bus. there are info in each resort homepage. near seoul. free shuttle bus. 1hour from seoul. 2019 winter olimpic games will held in gangwon-do Korea. 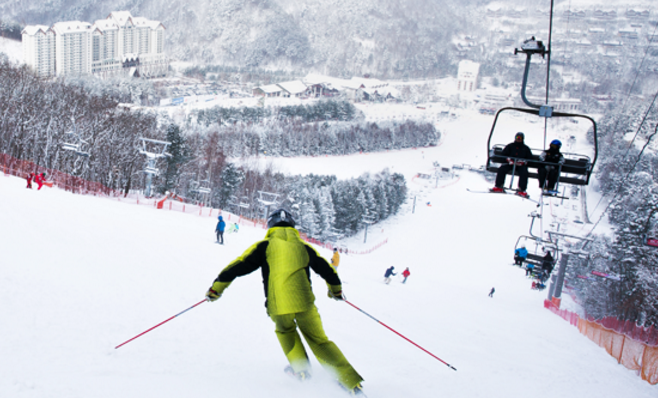 there are many big ski reort in gangwon-do. you can go there with shutile bus. many area will open snow sliding and skate in DEC.
you need to bring glove. you need your glove for winter sport. you need to bring your glove when winter sport area. you can buy chip glove in Mart (Emart, Homplus, Diso, etc). you can rent all other things in resort or skate area.